We have seen a fairly large Pawnee drop over the last week. It is not uncommon for Pawnee to shed a few nuts this time of year but this year’s drop looks a little heavier in places. Still, I don’t think its anything much to worry about in most cases. Most of the Pawnee trees I have seen with a heavy drop under them still have a heavy crop on them. The drop probably helped them more than hurt them. The trees should be able to produce better quality and have a better chance of a return crop. 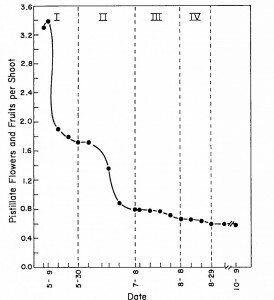 As the graph above shows, pecans undergo 4 separate fruit drops during the growing season, most of which are related to pollination problems. 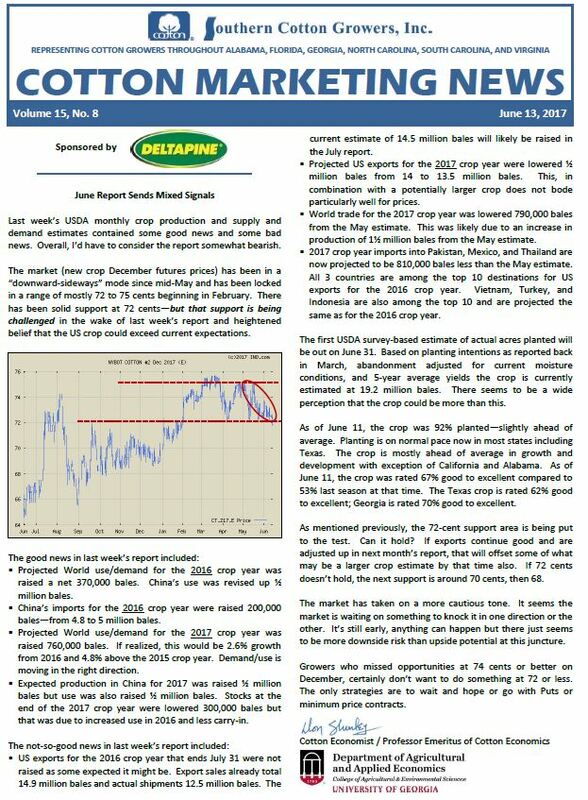 Pawnee is about a month ahead of most of our other varieties, so this drop would coincide with the 3rd drop in the graph above (which is based on Desirable). 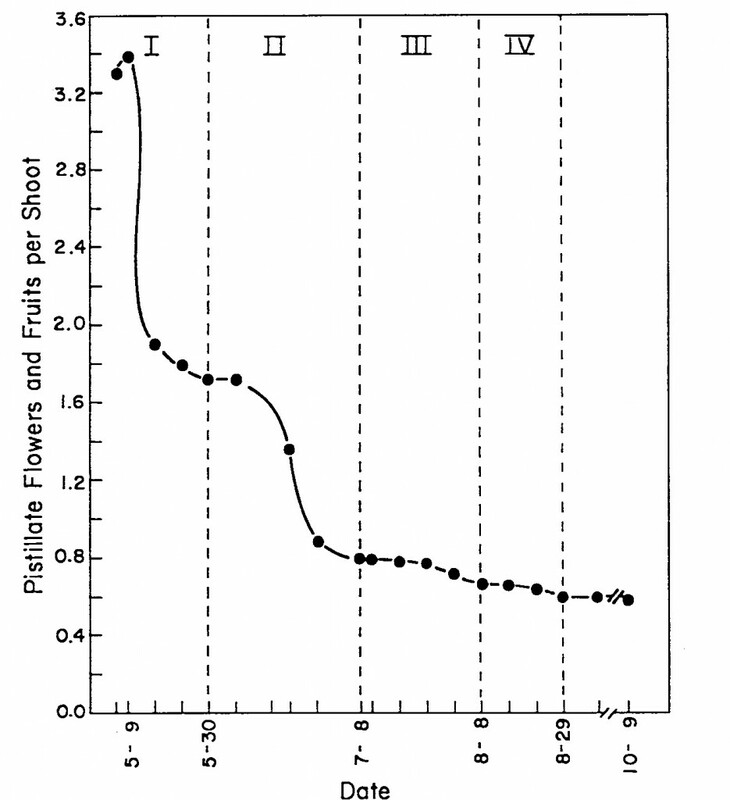 This drop occurs just before rapid fruit expansion and is due to the failure of the endosperm to develop properly. This drop is known to be accentuated by self-pollination. 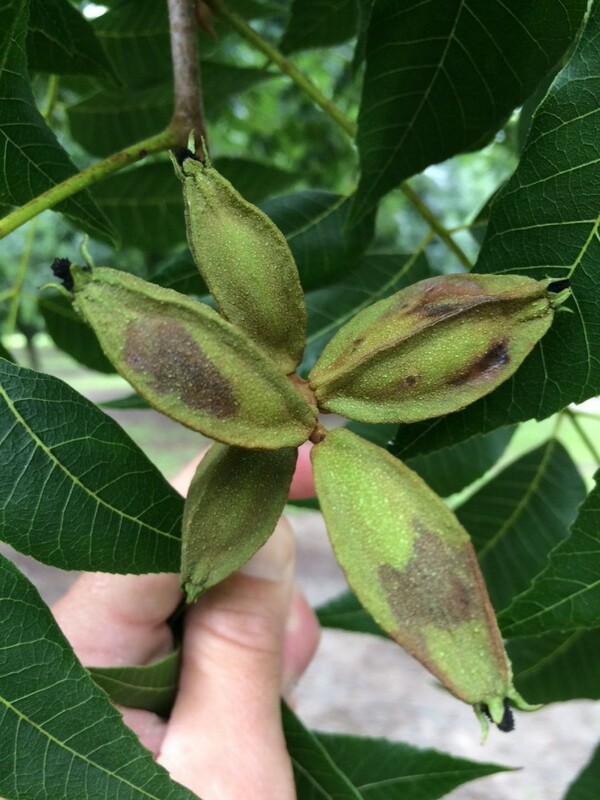 The low chill hours of this past winter and the resulting effect on budbreak (see Warm Winter and Pecans) could have affected cross pollination, leading to more self-pollination. 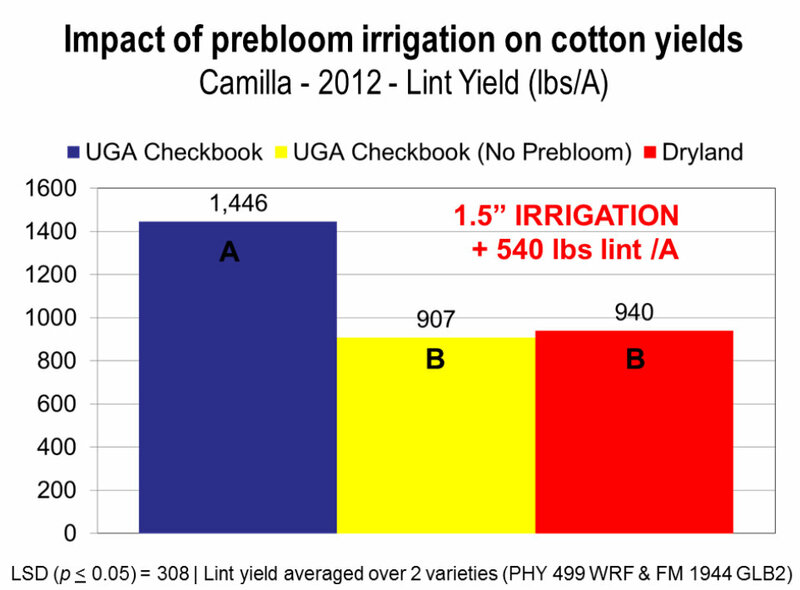 If so, we may see a similar drop on other varieties in a few weeks. 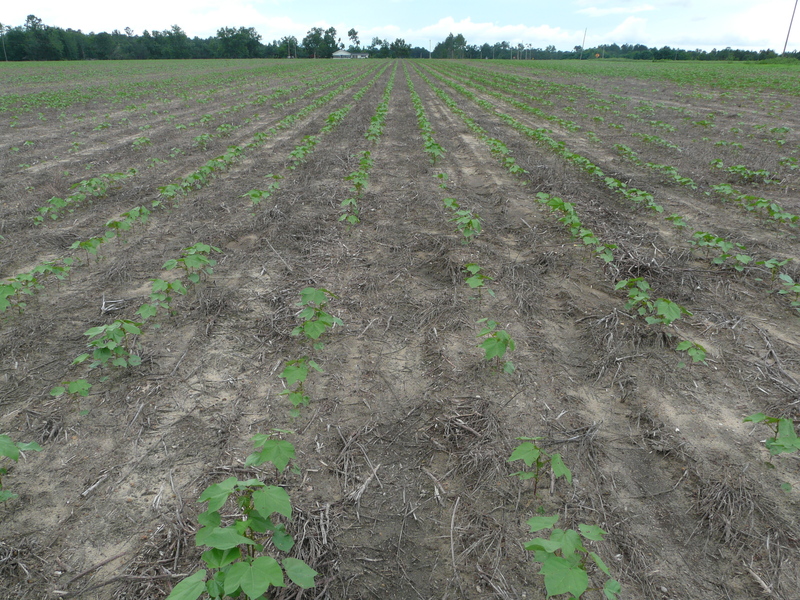 We are 2nd and 3rd week into squaring now, and we’re starting to put out our plant growth regulators. 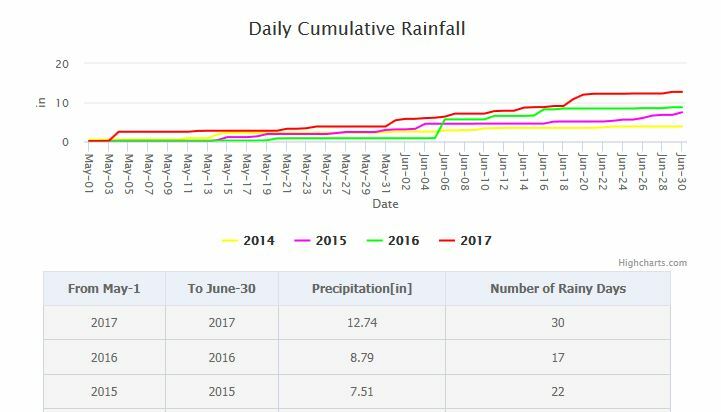 I had an unexpected 1 inch rain at the house yesterday afternoon.With all the rain we are having, we need to keep in mind the ‘rainfast’ of our PGRs. Below has written out each of our mepiquat and mixed products. 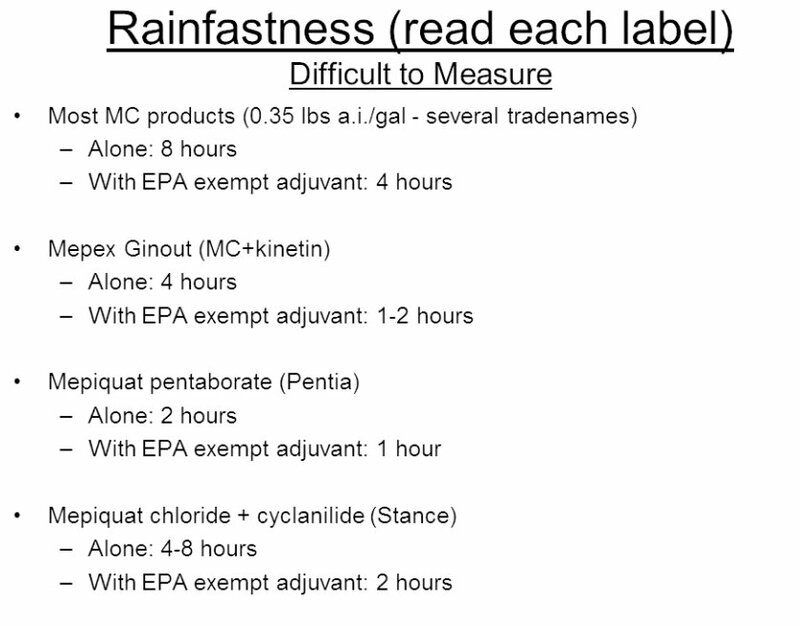 Generally, when a surfactant is used, we can cut the rainfast in half. Pentia is more expensive, but with a 2 hour rainfast (1 hr with surfactant), we may find it beneficial our current conditions. For the first time, I am getting to see what ‘consistent aphids’ looks like in the field. 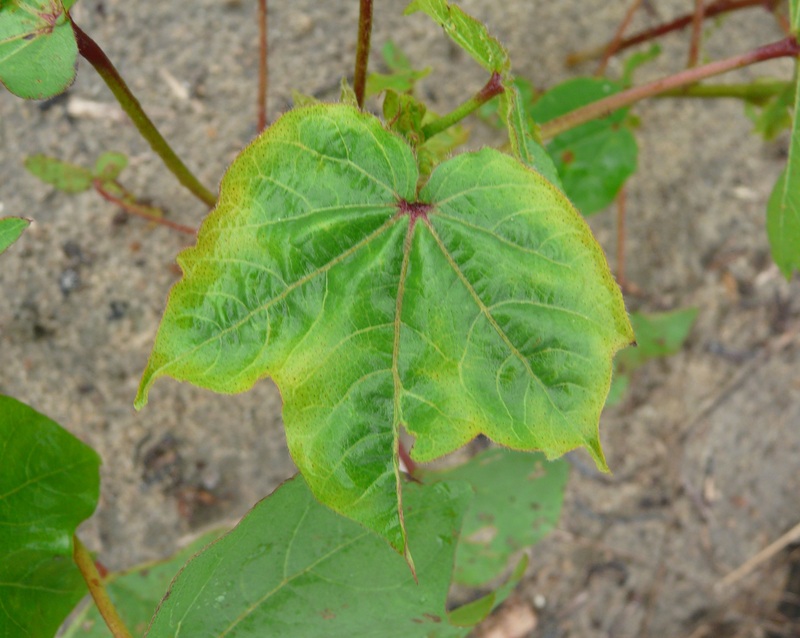 Normally, aphid populations are sporadic, seen only in ‘hot spots.’ This season, they are prevalent in our oldest and youngest cotton. 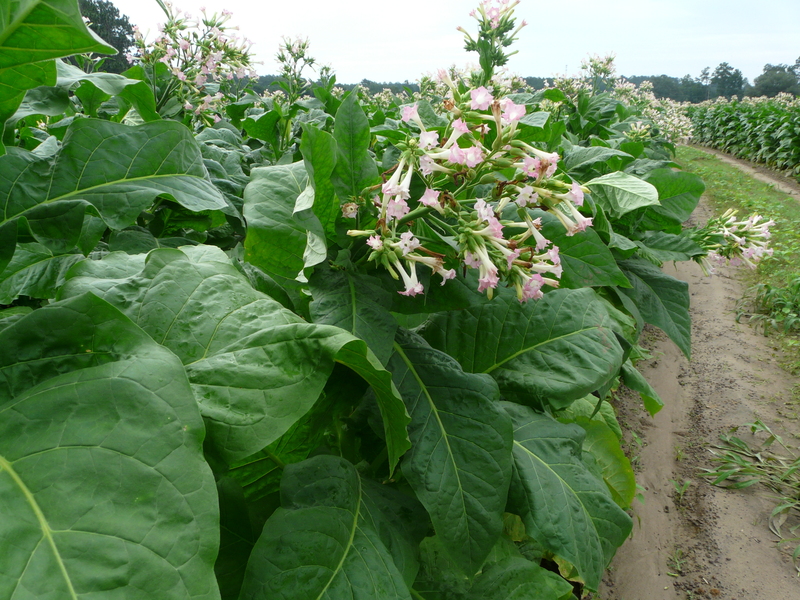 We looked at a field this week where every single plant was affected by aphids in the top 3 – 4 leaves (below). 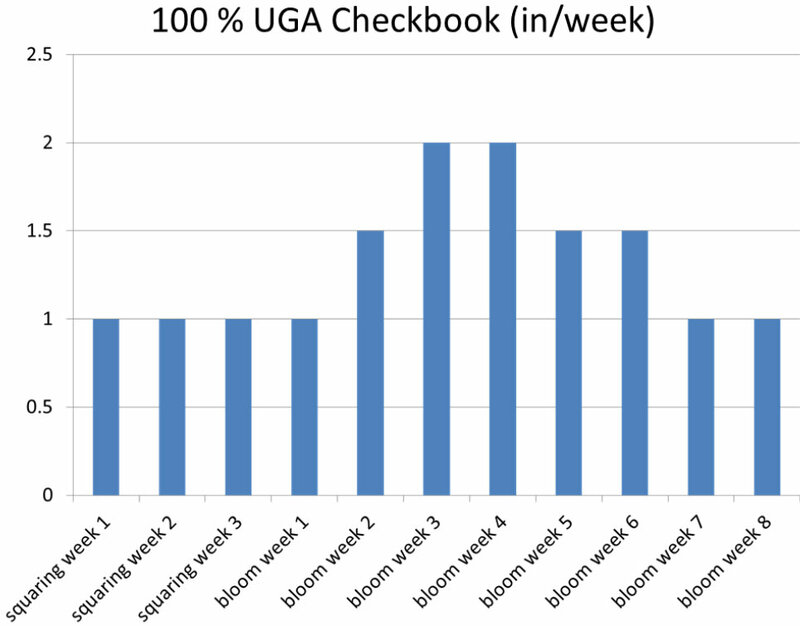 The only reason we don’t talk much about it is UGA research on treating aphids has never found a consistent yield response. 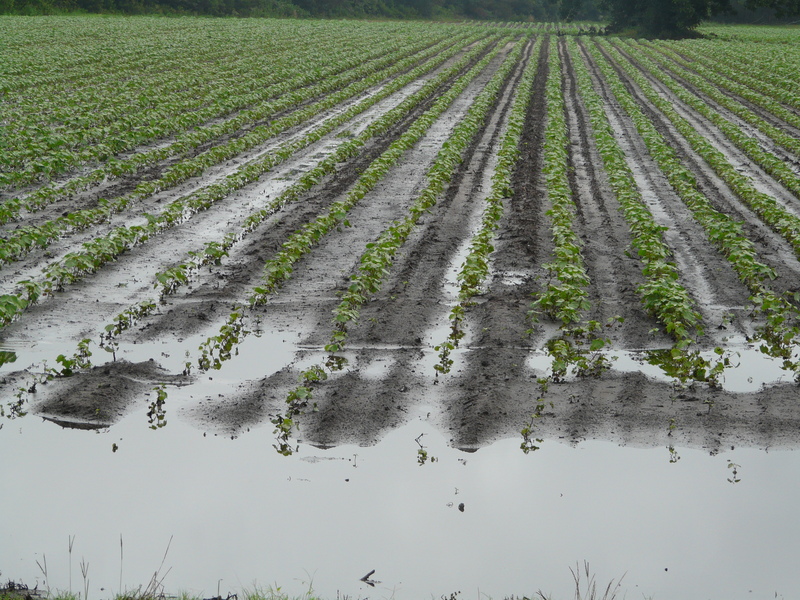 The best thing is to limit stress on the plant, and our rainfall is helping us here. 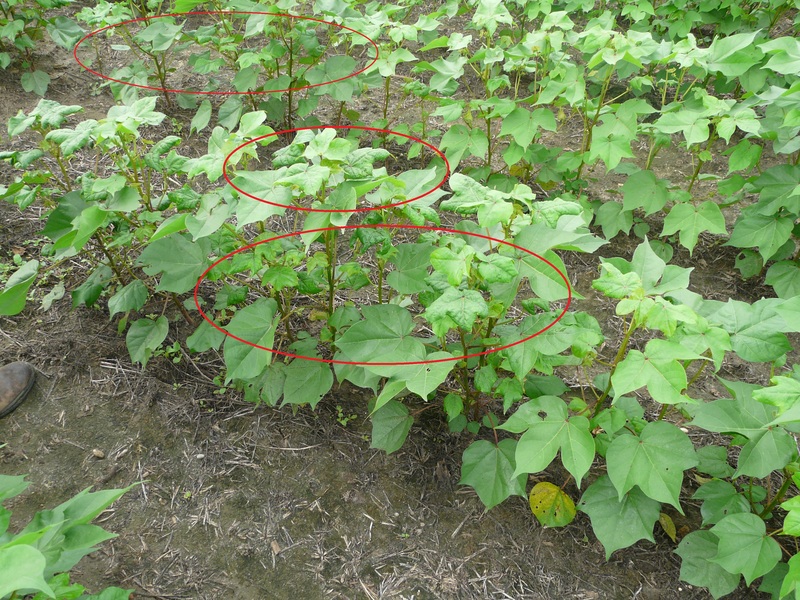 Classic symptoms of aphids in our cotton variety trial. 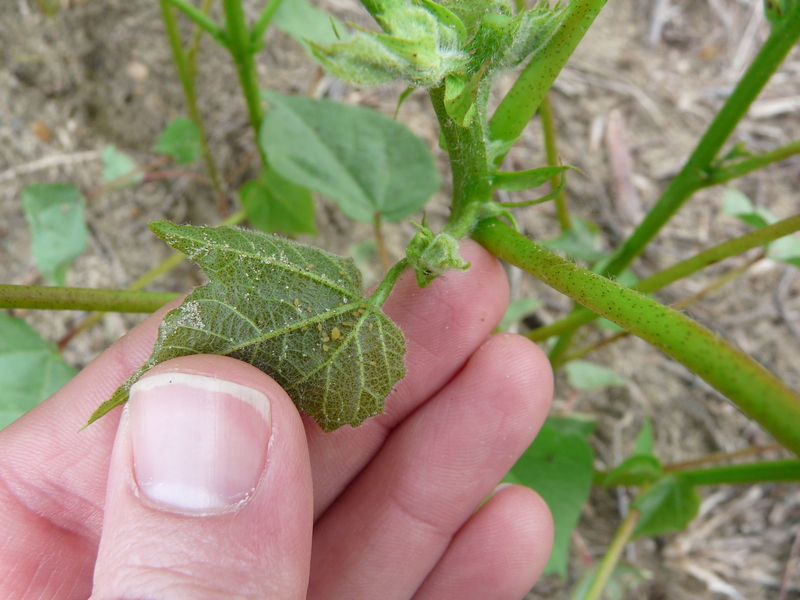 But the real new is that yesterday, we confirmed the ‘aphid fungus’ in Thomas County. 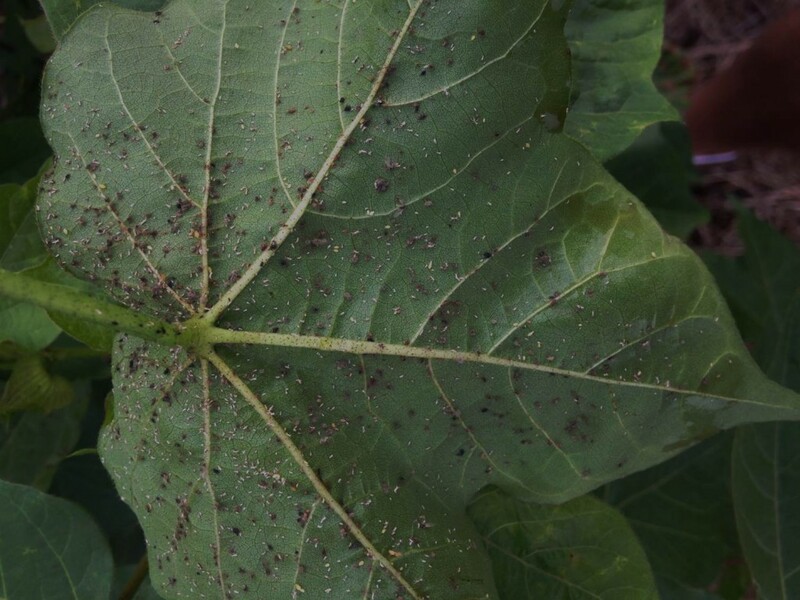 UGA Extension Entomologist Dr. Phillip Roberts already reported the ‘aphid fungus’ being spotted in Tifton this week. 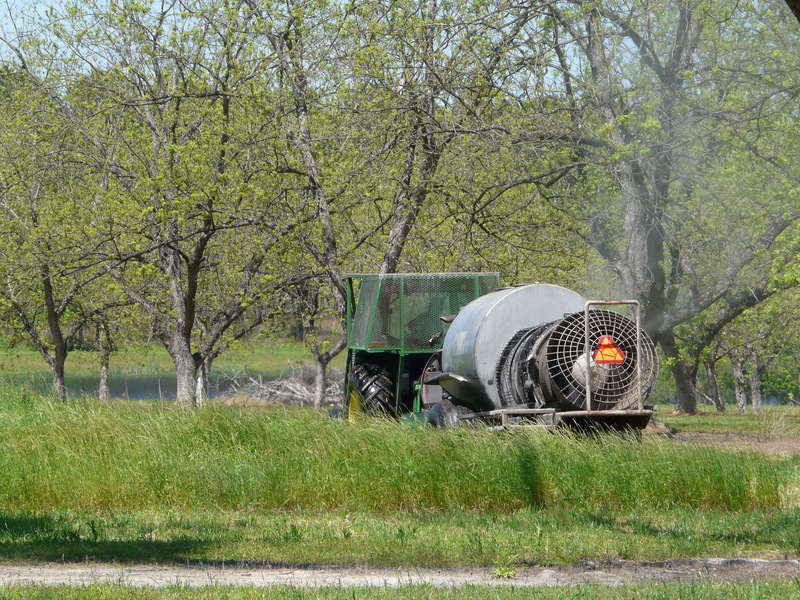 This means, aphids will soon crash. We observed the aphid fungus, (Neozygites fresenii), which causes aphid populations to crash on the Tifton Campus on June 26, 2017. We have also received some early observations from both north and south of Tifton. The presence of grey, fuzzy aphid cadavers is indicative of the naturally occuring fungus (below). Once observed in the field we would expect aphids to crash within a week. 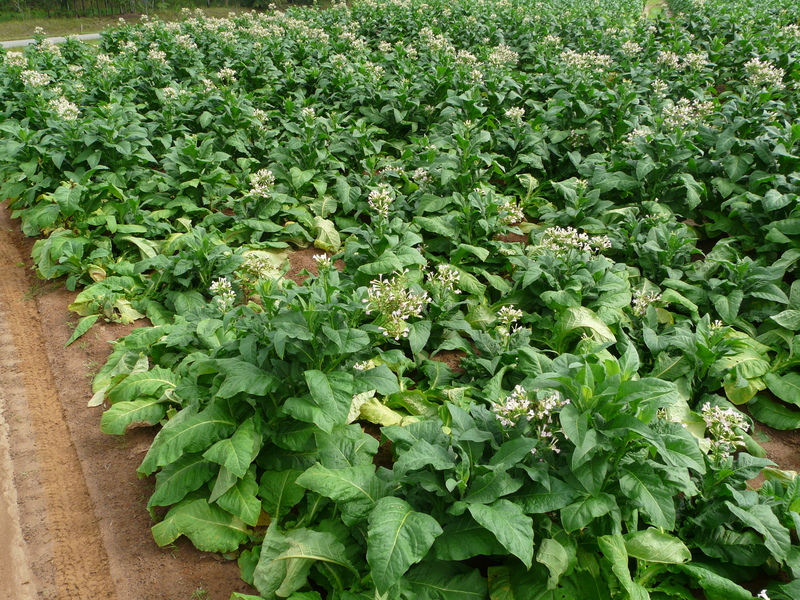 We typically first observe the fungus in fields with high aphid infestations; and more specifically areas of those fields which were initially infested. All scouts should be on the lookout for the fungus and be sure to report to growers.